If you've been bypassing Amazon or large chain stores to buy all your must-read (and must-gift) titles at indie booksellers, pat yourself on the back because you're making a difference. A survey conducted by the Booksellers Association showed that 55 percent of independent booksellers in the U.K. said that sales were up over the holiday season. And more? Of those book shops, 18 percent reported that sales we up "a lot." While we don't know exactly how much sales increased and, yes, this is the U.K. and not the United States, it's a great trend to see, for sure. The Booksellers Association surveyed 80 indie booksellers to get their data. Further, 69 percent of these stores said they say an increase in foot traffic, which is a dramatic increase from the holiday season of 2013, when 45 percent said they saw a decline in foot traffic in their stores. The Bookseller, which reported these stats, conducted its own annual survey, which seemed to confirm this good news. They looked at 57 book shops between the end of December and January 5. In 2012, 48 percent of indie bookstores reported a like-for-like sales increase during these dates; and it dropped in 2013, with only 46 percent. However, 2014's post-holiday season showed a whopping 79 percent of independent booksellers surveyed reporting sales increases. Again, everyone: Pat yourself on the back for buying local and independent. Publishers Weekly conducted a similar survey here in the United States. 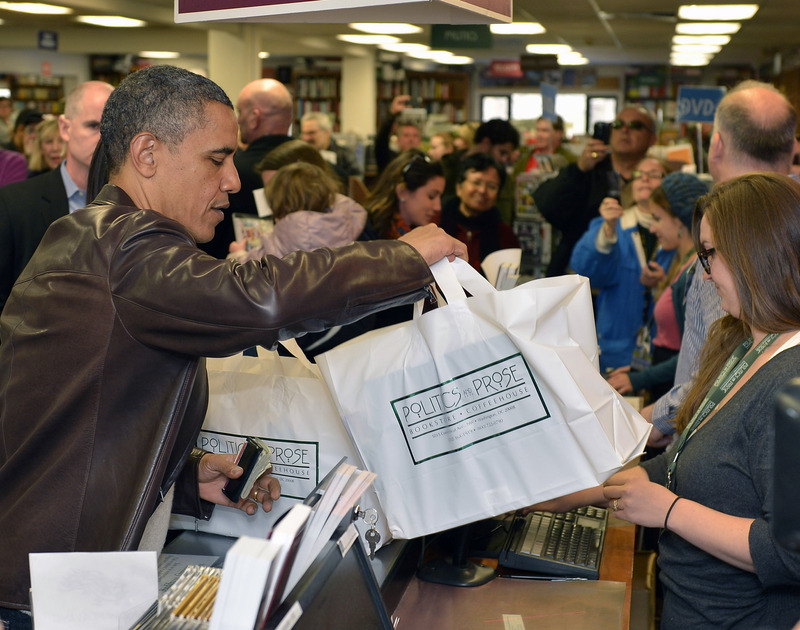 Yes, 2013's holiday season showed strong sales for U.S. independent booksellers — particularly when it came to children's and young adult sales — but 2014's holiday season proved even stronger as many indie booksellers "easily" beat the National Retail Federation’s projection of a 4.1 percent increase over 2013's stats. In the PW survey, Austin's BookPeople reported not only strong holiday sales, but had its best year ever in 2014, citing how the "shop local" messages seems to be resonating with its patrons. However, as Forbes reported in early 2014, the number of independent bookstores in the country is down by almost 50 percent over the last 20 years, from around 4,000 to approximately 2,000. But, wait! Since 2009, both the number of indie shops and their locations are actually growing — we're on an upswing. But! We have to keep this momentum going through 2015. It's just as important now as ever to shop at your favorite, local, indie bookseller — and chances are, with the numbers on the rise, you're likely to have one nearby.